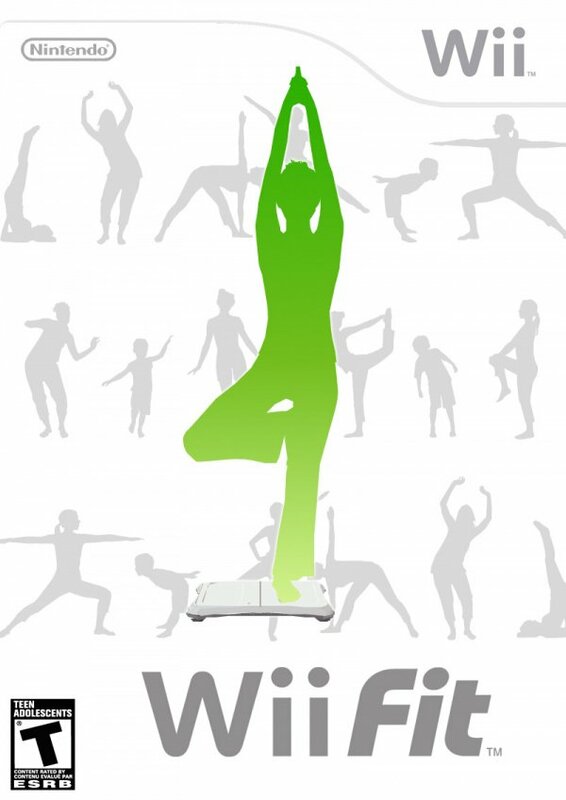 Wii Fit isn't the first fitness application made for video game consoles, but it's unquestionably the biggest selling one. It's Exhibit A in Nintendo's case for the business logic behind expanding the gaming market and the message has been heard loud and clear. Much of the success must be down to the fact that the peripheral and the pack-in software are well-designed and create a compelling package. Open the box and you'll find a balance board and a software disc. The former isn't too large, but it's got some heft - required if it's going to support a 150kg adult! The board has a battery receptacle that takes 4 x AA batteries (aftermarket charge packs are available, though high-capacity rechargeables will also work just fine) a sync button in the same area and a power button on one edge. Before getting started with Wii Fit you'll need to boot up the software and sync up your Balance Board in a similar manner to syncing up a normal Wii Remote. If you press the Home button on your Remote you'll find that the Balance Board shows up as controller four for checking its remaining battery charge (cleverly the board turns off when associated software shuts down meaning batteries will last a long time). After creating a Mii-based profile (you can backup and restore your saves in the event your Wii is replaced - unlike Wii Sports and Wii Play) you'll be asked for your height and then weighed. Wii Fit uses BMI for tracking your general fitness and it will calculate this for you after performing your weigh-in. When your BMI is displayed your Mii's body shape will adjust in line with how high your BMI is. Of course BMI is a strict height-weight ratio and not really a good measure of fitness since it fails to take muscle mass into account, so being told you're obese when in fact you're just a bit overweight is a bit annoying/ and Nintendo really should have allowed users to override this behaviour and input a target weight to work towards. It's not a deal-breaker and if you can salvage your ego and press on you'll find a decent set of routines and games that just might help you get a little fitter. Activities are broken up into four categories: yoga, strength training, aerobics and balance games. There are fifteen activities in each of the first two, and nine each of the latter two. We won't go into detail on all of them, but outside of the jogging they all revolve around the Balance Board. The Balance Board is a pretty impressive bit of kit all told. At its root it's a pair of scales side by side: it's able to measure movement from side to side and forward and backward thanks to sensors which respond to pressure. Using some rather clever algorithms the programs will measure balance and can determine whether or not you've taken one foot off the board or not. It is this technology which moves Wii Fit out of the realm of "interactive workout video" as was seen on the PS2 and Xbox and into the realm of "interactive workout." Rather than having to press buttons to tell the program whether or not you've done something it's able to react to your movements dynamically whilst eliminating the need to wear sensors or worry about line of sight to cameras. Performance in yoga and strength training activities is rated from 1-4 stars after completion based upon your balance - either checking that you've stayed as still as possible or distributed your weight evenly. Whilst this seems a bit arbitrary, having a visual guide showing your position and asking you to stick within a target area adds a challenge aspect to the activities which encourages you to do better and focus your attention. The benefits are quite real, especially from the yoga which will definitely improve your posture, lower body stability and flexibility if you stick with it on a regular schedule. Strength training exercises focus on twists and raising of arms and legs as well as press-ups and sit-ups; aerobic exercises are of the low-impact variety due to the Balance Board's aversion to being jumped on, though you can definitely work up a sweat with Hula Hoop and boxing routines (both of which suffer from motion detection issues, sadly). Jogging consists of running in place with a Remote in your pocket (yes, yes, we know, very funny) and is the only activity not to utilise the Balance Board. The games are an interesting mix of simple tilting to guide marbles through holes or direct your Mii down a river in a giant bubble. The use of the board for snowboarding and skiing is a revelation and mimics the same motions used in real life, minus the danger of leg breakage. Downhill jumps are a treat with crouching and leg extension being used to pull off jumps; a similar mechanism features in the tightrope walking game. 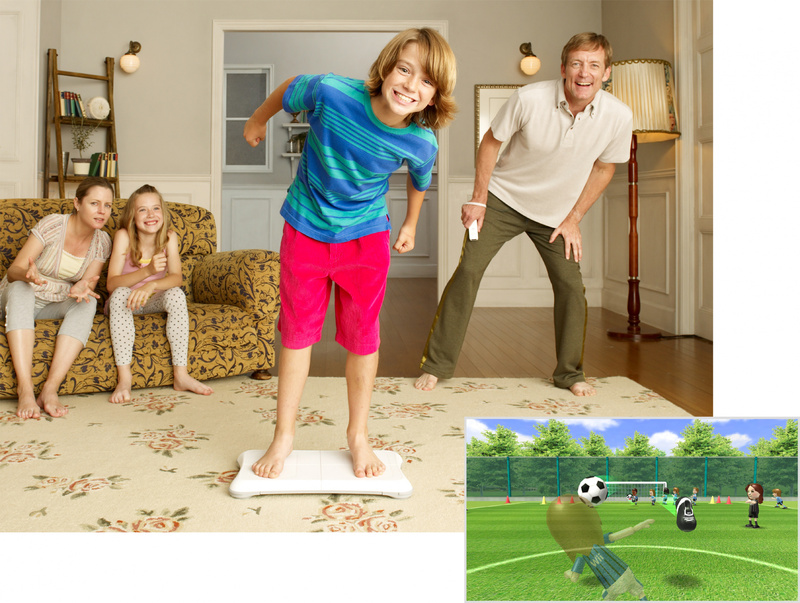 Of course if you've seen an ad for Wii Fit, no doubt you'll be familiar with the football (soccer)-heading event which relies upon your natural tendency to shift your weight along with your head when trying to hit an object with it. Activities are largely in bite-sized chunks of two or three minutes, which is added to your total time after each is completed. You can view a tutorial before the more physically demanding exercises (highly recommended -- especially for the yoga poses) and you have a choice of male or female instructors. The instructors praise you when you're doing well and caution you when you're having trouble. It might seem a bit cheesy, but having a virtual trainer tell you your yoga pose is beautiful or having an audience of Miis cheering you on during aerobic steps is quite satisfying. It's the kind of detail which shows Nintendo has really hit the mark with this title. After completing your workout (the game will tell you to take a break every 20-30 minutes) you're encouraged to do a Body Test to check your BMI. After a little recalibration and inputting how heavy your clothing is, an extended measurement is taken after which your balance is displayed and then your BMI. Your position on a graph is marked and the virtual Balance Board mascot on screen will congratulate you for losses or ask you to think about the cause of larger gains. You're prompted for a goal amount to lose or gain and then the number of weeks required to achieve this. After your Body Test you can do a few balance exercises which measure reaction time and body balance that are the basis for determining your Wii Fit Age with the occasion marked by a virtual stamp on a calendar. Wii Fit is trying to get you to think about your weight and general fitness so you'll also be asked about your sleeping patterns from time to time, and you can input other exercise taken outside of Wii Fit into your Fit Cash area which has a separate graph showing your overall exercise pattern. Since Wii Fit supports multiple profiles (the whole family is encouraged to participate) you can view and compare the Fit Cash graphs for everyone in a lobby area. By installing the 110-block Wii Fit Channel on your system this and the Body Test can be used without even loading up the disc. Aside from minor issues - for example, Wiis with their country set to UK have no option to choose units other than pounds and stones - the major problem with Wii Fit is the lack of any training programme. You cannot run events in sequence so you'll find yourself having to pick up the Remote and select each one in turn. The top ten activities you use the most will be found under the Favourites tab, but otherwise you will need to scroll through them and click a new one each time, a real pain compared to the smooth training routines in EA's Sports Active game. For a peripheral pack-in title Wii Fit is quite an extensive offering, with a large array of fun activities that will challenge you and help you get fitter. Whether or not you lose weight will depend upon how much time you invest into it, but at the very least it will get your bum off the sofa and moving around -- and that's a good thing. The major shortcomings are lack of flexibility in measurement units and the inability to create your routine, a frankly baffling omission. Some more work was also needed on the boxing hit detection, which sometimes fails to register a punch at all, and hula hoop movements that can sometimes fail to register and end your gyrations early. Overall though this is a worthwhile purchase for anyone wanting to try something different with their little white box. I agree, but I think the software "wii fit" is fundamentally flawed without a simple addition of the option to choose a workout by assigning a few and let it run without interruption. Pressing buttons through text and menus every minute or less really ruins the flow of good excersize. Otherwise it's great, but that just ruined it for me (seeing how simple that would have been to add). Feels like what it is: a series of 1 minute stretches. don't expect much raised heart rate and you'll love it. Upon initially getting wiifit, I would have agreed with the praise, but the more I used it, the less useful it was. Users are far too constrained in how they want to workout. You can't set time limits, you can't set routines. There is way too much menu navigation, selecting, button pressing and explanation. The workout timer is dreadfully broken. 30 second workouts record as 2 minutes sometimes. The more you want to push yourself, the worse wiifit pushes back. I used wiifit for about 6 weeks, at which point I felt the time I spent with wiifit would be more productive elsewhere. What also bothered me is the games. Playing sports like football, baseball, soccer or tennis are fun, and you forget that you are working out. 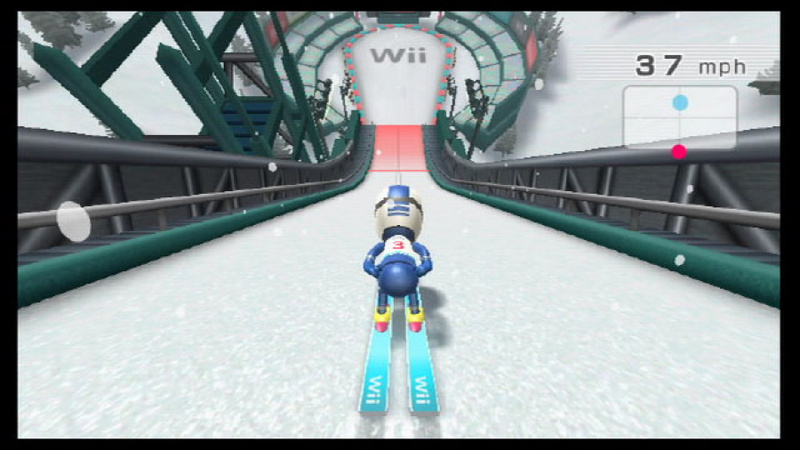 The games on wiifit are neither fun after the initial playing, nor are they workouts. And it would have been nice to allow music to play in the background- most people exercise to music. I started at 206 and now I'm at 190 after about 6 weeks time. I had a lot of success with doing workout routines when I came across this website http://www.wiifitroutine.com it has a couple hundred routines already created as well as this routine generator program that allows you to create custom routines. I own the game, and you are not allowed make your own work out plan, and types of stretches are locked so if you really want to do crunches, you have to do lots of push-ups to get coins to unlock the excerise. I would say that is what is bringing it down. But besides that Great Game. the balence board cartoon caricter on wii fit is so cute! i like how he talks and bends and when your done with a body test he will wave at you goodby! heres a tip if you are on your profile and if you dont point the wii remote to the screen stuff will start to happen like it dose on wii play! the balence board will come tippy toeing past your mii then your mii will chase after it untill your poor little mii will fall on his but. and it is kinda getting boring. I just love the Balnce Board on Wii Fit! @geek-master He really is cute! New Update! There`s a new Wii Fit game called Wii Fit Plus. It`s a whole lot BETTER then Wii Fit! You can make your own routines, too in My Wii Fit Plus. And there are new activities on the new Wii Fit Plus games! I really should get Wii Fit Plus because there were quite a few shortcomings on this original, like the ones mentioned in this review, that I was exasperated by. It sounds like the new one improves quite a lot upon the original.